A couple weekends ago hubby and I were wanting to go to dinner. 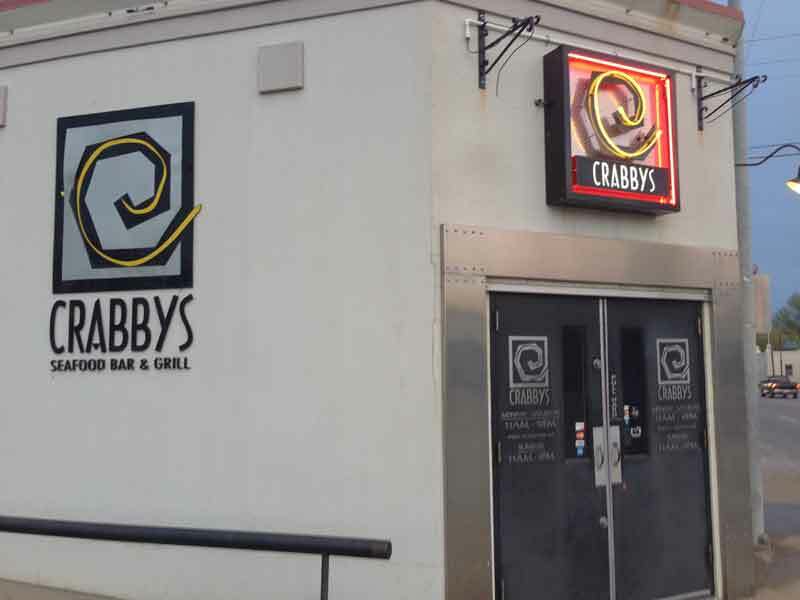 We kept throwing out different restaurant ideas and finally decided upon Crabby’s Seafood Bar & Grill. I had eaten there for work once but he’d never eaten there. He googled the menu which contains a lot of seafood which I”m not in to but I assured him I’d find something to eat. My meal came with either a Soup or a salad. I went with a salad with ranch dressing. I liked the salad, very classy. 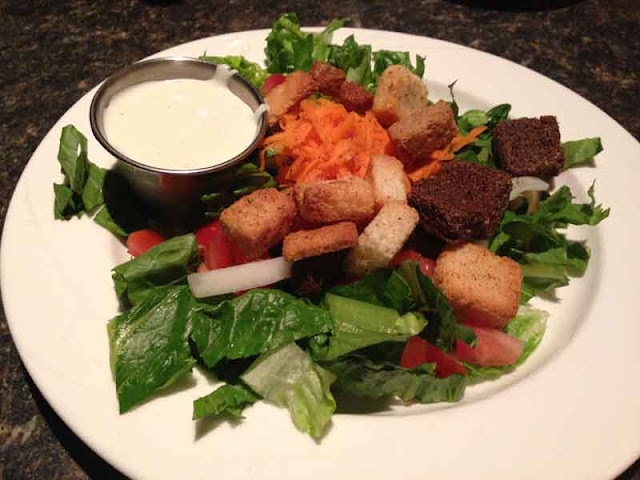 Greens, cucumbers, carrots and croutons. The salad dressing was extremely tasty. 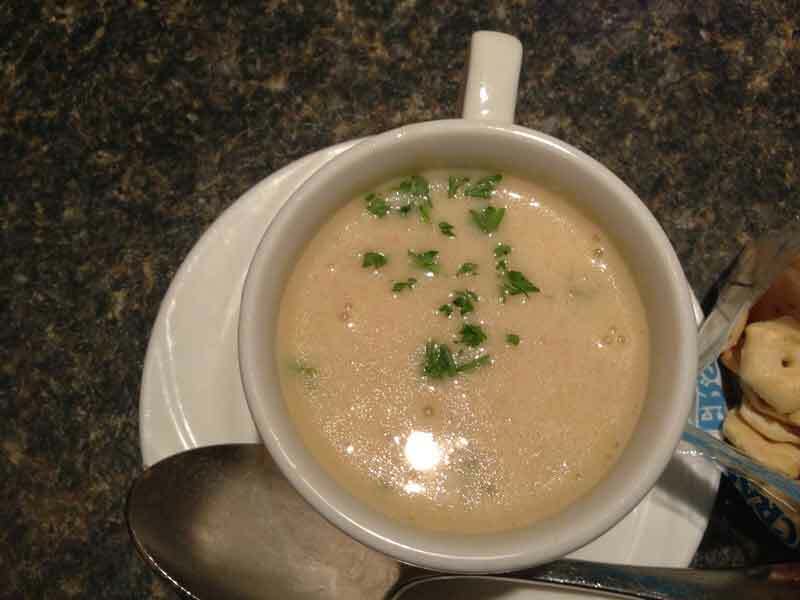 Hubby went with the Seafood Chowder which was a combination of shrimp crab and sweet corn. 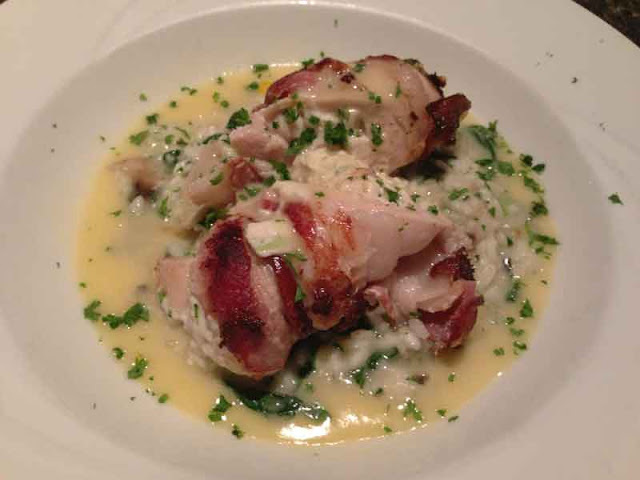 I had a Chicken breast stuffed with seasoned cream cheese wrapped in bacon served over a bed of risotto with a lemon cream sauce. You have NO idea how fabulous this was. I couldn’t stop eating this, even when I was stuffed. Hubby went with the Jumbo Shrimp and Crab Cakes over a Corn and Green bean salad. He loved it. 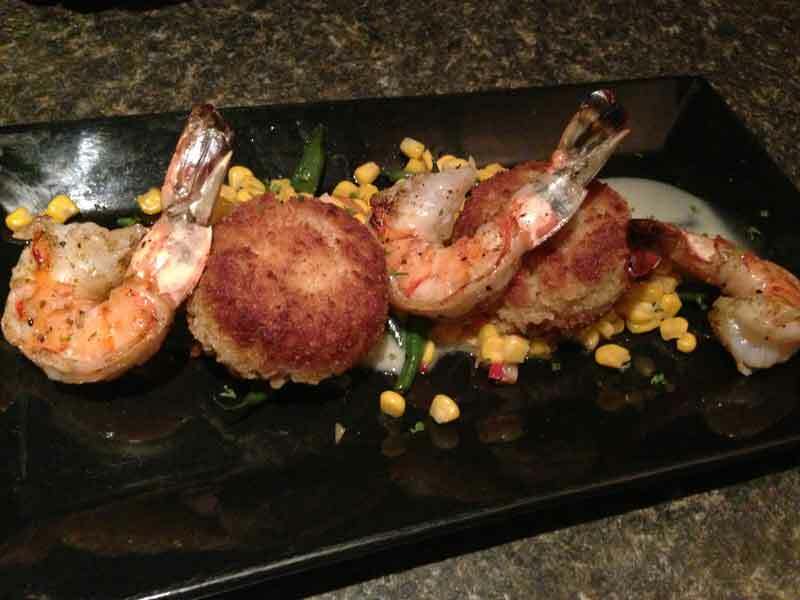 This was definitely one of those tasty date night dinners that we’ll have to go to again. You know when we first got there we weren’t sure we’d get in for 30 minutes, however they had a table get up and leave and we were in and seated within 10 minutes. I guess that’s what you get for showing up on Prom night for one of the local high schools.